We are very fortunate to have a number of footpaths and bridleways in the the Parish that make for very pleasant walking, horseback riding and off-road cycling. Refer to the map to see the routes described here. At the north end of Prior’s Lane, a bridleway links Hinton with Longworth, providing an excellent pedestrian route to the Blue Boar. 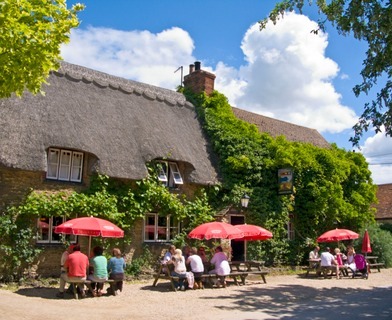 For a lengthy loop walk (6 miles or more), take the bridleway to Longworth, walk through the village a few hundred yards, then turn left down Tuck’s Lane past the Blue Boar. Follow the lane down the hill and around to the left, then take a right turn onto a footpath that goes over Harrowdown Hill and ends up at the Thames Path National Trail. Turn left, follow the Thames Path to Ten Foot Bridge, then return to Hinton via Duxford. Walk down the lane from Hinton to Duxford and you have a choice of a footpath to the east that links up with the Thames Path at Shifford Lock, or a bridleway to the west that heads towards Buckland – linking with a footpath that takes you over Ten Foot Bridge to the Thames Path. Continuing westwards you can take a left turn towards Rectory Farm, where the path forks to the right to take you into Buckland itself, or straight on up the hill (via a permissive footpath, not a public right of way) to link up with another footpath from Buckland. Take this footpath in an easterly direction and (via a short stretch of the A420) end up on the road between Hinton and Pusey, just outside Hinton. This is one of many pleasant loop walks that Hinton has to offer. The paths going east and north from Duxford need care. 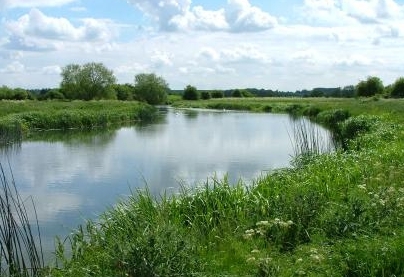 The footpath that follows the right bank of the river tends to flood in winter and become very overgrown with nettles in the summer – long trousers advised! The bridleway over the ford at Duxford is nice in the summer when the water is only 10 cm deep or so, but it has been known to reach 2 metres in the winter. Make sure you can see the bottom before venturing across.